When it comes to souvenirs, there’s nothing scarier than those silver tourist teaspoons with a picture on the end… Put those away quietly and take out something still very Australian and much more beautiful: an Alperstein Milk Jug. Made from fine bone china, this quaint milk jug is decorated with a beautiful artwork from Otto Jungarrayi Sims, a delightful piece to be used and adored at your next quiet afternoon tea. Based on an artwork by Otto Jungarrayi Sims. Royalties from product directly benefits the artist and their community. 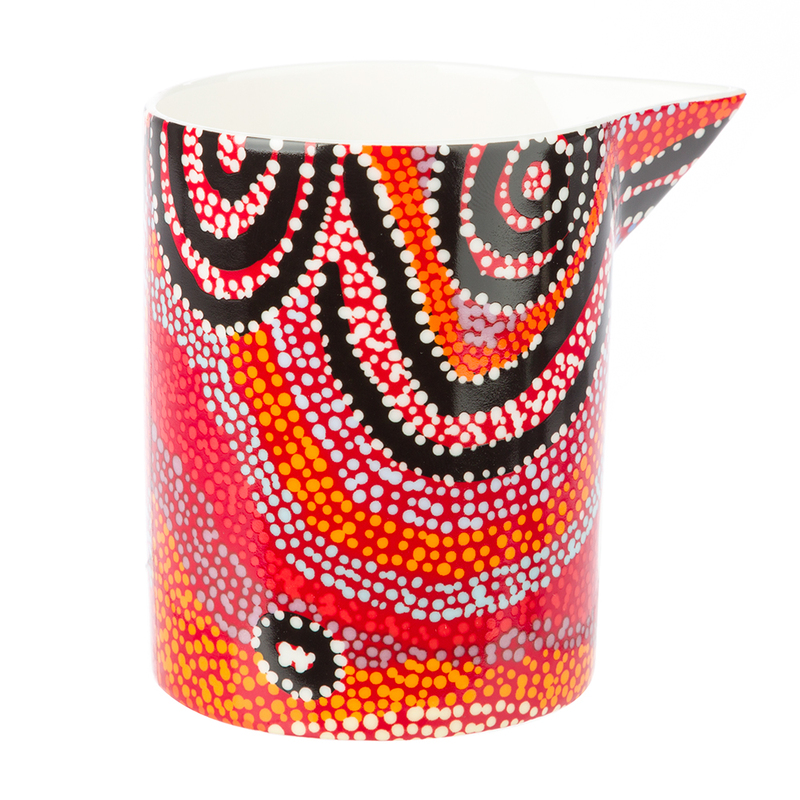 Presented in a Warlukurlangu - Artists of Yuendumu gift box. Dimensions: 8.5cm (h) x 6.5cm (d).